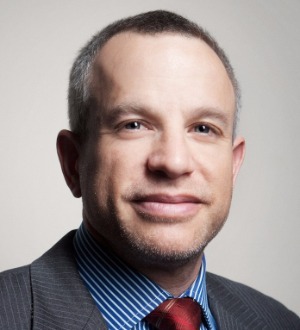 ADAM T. KLEIN is the Managing Partner of Outten & Golden LLP, and founded the firm's class action practice area. His practice focuses on the prosecution of class actions and impact litigation of employment discrimination and wage and hour claims. Mr. Klein currently serves as lead or co-lead plaintiffs' counsel in numerous major class action lawsuits involving discrimination claims in the financial services industry, the high tech industry, and challenges to the use of credit and criminal history records for employment decisions. At present, Mr. Klein is co-lead plaintiffs’ counsel in lawsuits challenging employment practices at Goldman Sachs, Microsoft, and Sandia. Mr. Klein is lead class counsel in a now concluded lawsuit against the Census Bureau, which was filed in affiliation with a consortium of civil-rights organizations challenging the use of arrest and criminal history records as a screen for employment for 850,000 applicants. In 2016, the parties reached a landmark settlement with the federal government that requires the Census Bureau to reform its hiring practices for the 2020 decennial census as well as creating a class-member Records Assistance Project housed at the Cornell University ILR School and in coordination with the Lawyers' Committee for Civil Rights Under Law. The Census Bureau legal team led by Mr. Klein won the Public Justice 2017 Trial Lawyer of the Year Award. Mr. Klein represents the Metropolitan Council of the New York State Conference of the NAACP in challenges to the use of criminal history records as a screen for employment. In addition, Mr. Klein serves as co-lead plaintiffs' class counsel in now settled nationwide discrimination class action lawsuits against Smith Barney (gender - Amochaev v. Smith Barney), Bank of America/Merrill Lynch (gender – Calibuso v. Bank of America), and Morgan Stanley (race - Jaffe v. Morgan Stanley). Each settlement provides class members with substantial monetary relief and creates systematic changes to company practices. Mr. Klein also served as co-lead plaintiffs' class counsel in a "glass ceiling" gender discrimination class action against MetLife, based on discrimination in promotions and compensation, which resulted in a settlement that created beneficial changes in the company. Mr. Klein is a Co-Chair of the Lawyers' Committee for Civil Rights Under Law. For numerous years, Mr. Klein has been selected as one of the Lawdragon 500 leading lawyers in America as well as Best Lawyers in America, New York’s Super Lawyers – Manhattan Edition, and as a member of the Hall of Fame in the Legal 500. Mr. Klein is a Fellow of the College of Labor & Employment Lawyers. Mr. Klein received his undergraduate degree from the School of Industrial and Labor Relations at Cornell University in 1987 and his law degree from Hofstra University in 1990. Mr. Klein was admitted to the New York state bar in 1991. He is also admitted to practice in the federal Second, Ninth, and Eleventh Circuits and the U.S. District Courts for the Southern, Eastern, and Western Districts of New York.